I did not grasp the warning. of a dark pool of silence. At its center, a hawk. talons and beak like knives. He stared at me. I stared at him. men were debating ways to kill. In the forest, deadly beauty. I had never seen a hawk so close. a cruel and graceful curve. His chest heaved in a breath, a sigh. He flew straight at me. were as wide as I am tall. I simply stood and waited. alighted in a nearby tree. like water down a dry streambed. only weapon is his feathered self. from Homefront (WordTech Editions, 2005). In early 2003, millions of people all over the globe took to the streets to oppose President George W. Bush’s plan to invade Iraq. Poets responded by organizing a great uprising, Poets Against the War. In DC, Sarah Browning organized an open mic reading at All Souls Unitarian Church on February 12, hoping that poets of all sorts would join together to speak out for peaceful alternatives. Sarah didn’t know what to expect, though, as she’d only recently arrived in the city. To her astonishment, over 175 people turned out, with 60 signing up to read and perform. 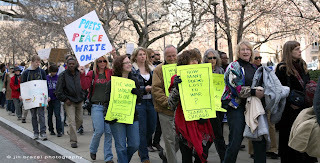 DC Poets Against the War was born. Five years later, in 2008, the group presented the first Split This Rock Poetry Festival, giving birth to a national movement bringing poetry to the center of public life, where it belongs! Join us for Sunday Kind of Love at 14th and V Busboys and Poets February 17, 2013, 5-7 pm, as we mark the 10th anniversary of DC Poets Against the War and protest and mourn the great tragedy of the Iraq War. We will raise a toast of gratitude to Sam Hamill, the founder of this great movement of poets. Poets active in the group will read their own work and the poetry of the missing voices: Iraqi poets, Afghan poets, and essential US poets we’ve lost since 2003, such as Adrienne Rich, Lucille Clifton, Grace Paley, Ann Knox, and Dennis Brutus. Featuring: Sarah Browning, Michele Elliott, Yael Flusberg, Leah Harris, Esther Iverem, Joseph Ross, Melissa Tuckey, and Dan Vera. stirs from a closed mind. 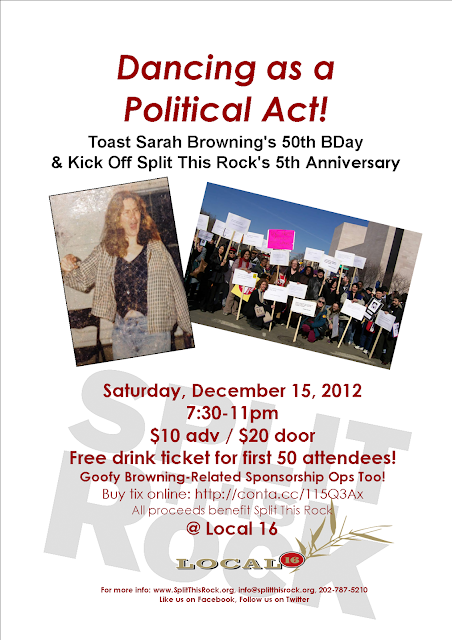 We are grateful to Busboys and Poets for lead sponsorship of this event and others marking the 10th anniversary of the war in Iraq and the fifth anniversary of Split This Rock! 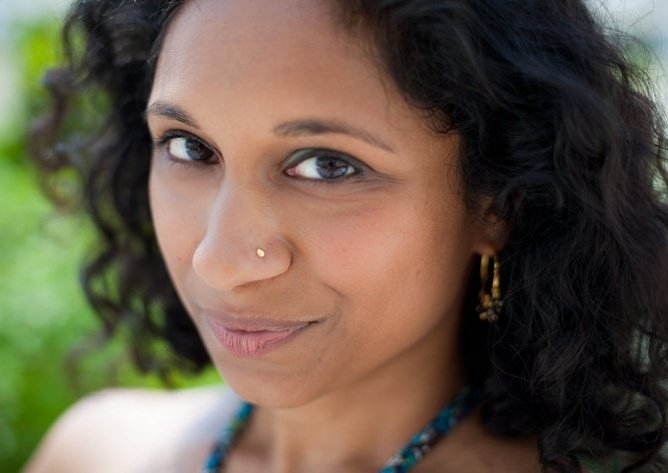 Gowri Koneswaran is a Sri Lankan Tamil American poet, singer and lawyer. Her advocacy has addressed animal welfare, the environment, and the rights of prisoners and the criminally accused. She was a Lannan Fellow of the Folger Shakespeare Library and a member of the 2010 DC Southern Fried Slam team, and has performed at Lincoln Center Out of Doors, the Kennedy Center’s Millennium Stage and the Smithsonian Folklife Festival. Gowri’s poetry has appeared in Beltway Poetry Quarterly, Bourgeon and Lantern Review. She leads poetry and communications workshops and hosts open mics at Busboys and Poets and BloomBars in Washington, DC, where she serves as poetry coordinator. She is also a poetry editor with Jaggery: A DesiLit Arts and Literature Journal. Gowri tweets on-the-spot haiku @gowricurry. the Chester County Peace Movement. the families in SUVs blared horns and shouted unpatriotic. Is he here to join us or blow up the courthouse? But my combat boots hadn't marched on the sands of Iraq. mute my guitar if circle pits exploded into fights. Dylan's prophetic "The Times They Are A Changin'"
that blow big cities off the map. You don't have the balls to fight in Iraq! Try to stop us. It's no use. We're gonna rise above, rise above. 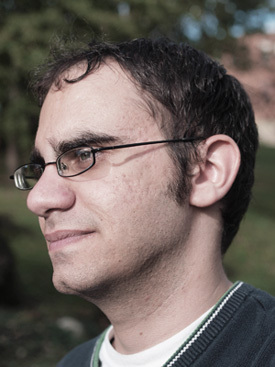 Brian Fanelli resides in Pennsylvania and teaches creative writing at Keystone College. His poems have appeared in Boston Literary Magazine, Harpur Palate, The Portland Review, Solstice Literary Magazine, San Pedro River Review, Red Rock Review, and elsewhere. He is the author of one chapbook, Front Man, and his first full-length collection will be published in 2013 through Unbound Content. A contributing editor to Poets' Quarterly, Brian has an M.F.A. from Wilkes University and has done readings throughout the tri-state area. 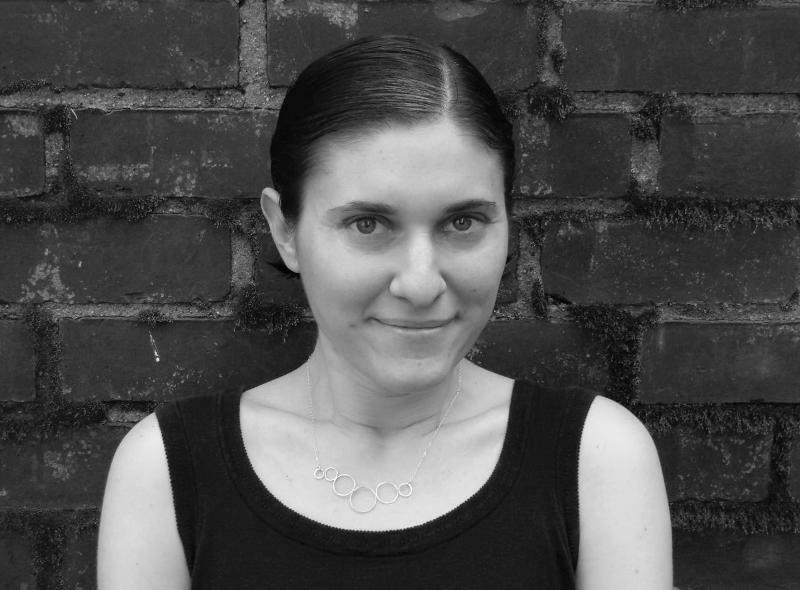 Rachel M. Simon is the author of the poetry collection Theory of Orange and the chapbook Marginal Road. 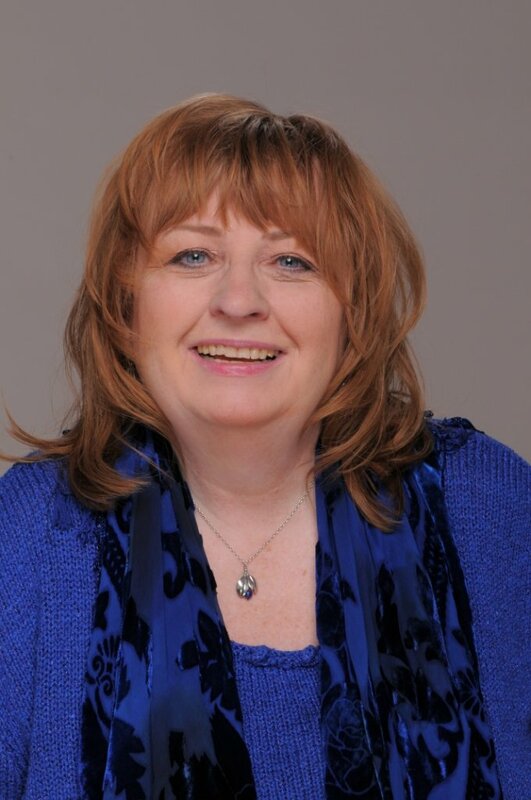 She teaches writing and gender studies courses at Bedford Hills Maximum Security Correctional Facility, SUNY Purchase College, Pace University and various libraries. She's currently at work on a collection of sports poems. We promote poetry that awakens us from our slumber and welcomes us to the table of creative democracy—poetry by America’s new voices, wild voices, essential voices. Our curated Poem-of-the-Week series brings this jagged, glad music to thousands across the country. Split This Rock Teaching Artists work with students at the intersection of creative writing and social justice, reaching over 300 students through after-school poetry clubs, weekly writing workshops, and monthly open mics and poetry slams. This year the DC Youth Slam Team doubled the students we sent to the Brave New Voices International Poetry Slam Festival, finishing in the top 10 of over 50 teams! Our mantra, by Martín Espada, is: Let the blasphemy be spoken: poetry can save us. We publish poems in conjunction with Foreign Policy in Focus and the Institute for Policy Studies and present them during the Global Day of Action on Military Spending, the Letelier-Moffitt Human Rights Award, the Abortion Care Network’s annual conference, Metro Teen AIDS programs, and more. What do Richard Blanco, Mahogany Browne, Tarfia Faizullah, Aracelis Girmay, Terrance Hayes, Brenda Hillman, and Patricia Smith have in common? They’ve all read at Sunday Kind of Love, Split This Rock’s monthly series, now celebrating its 7th year! Presented in partnership with DC’s premiere poetry venue, Busboys and Poets, Sunday Kind of Love is the most diverse reading series in the city—and perhaps in the country—showcasing poetry that tells the true stories of our time. 6. Split This Rock’s youth voices speak for justice! Split This Rock’s Youth Programs are building partnerships around the city and around the world. The young poets speak out against police brutality, economic inequality, and homophobia. Their What Are You Afraid Of? Campaigns challenge their peers to identify and resist oppression, bridging divides between communities. Whether performing at the Kennedy Center or working with artists from Brazil, our students are raising their voices for justice and peace. Hundreds of poets submit each year to our annual contest, judged by such luminaries as Naomi Shihab Nye, Patricia Smith, and Mark Doty. Their poems cut through the stultifying language of political propaganda to tell the complex stories of how we live today: how race and gender and history shape our identities; the enduring legacy of slavery and colonialism; the devastation of war and its aftermath; how we might save ourselves and our home, this earth.